Ok, now that you have picked out the body, it's time to decide on the eyepiece. While you are deciding, remember that Swarovski Optik's is an Austrian family-owned company steeped in the tradition of producing superlative binoculars and telescopes. Their products are often icons of both optics and aesthetics, with the posh spotting scopes being hallmarks of the distinguished brand. 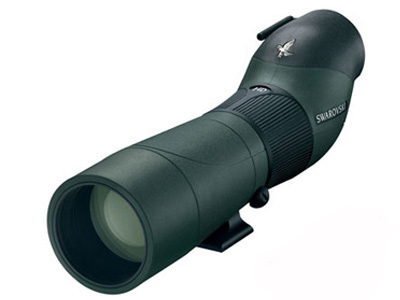 Whether your outdoor excursion revolves around birding, digiscoping or long-distance scenic viewing - the STS-80 HD brings an outstanding and unparalleled level of optical performance to the table. Swarovski's High Density glass lenses nearly eliminate optical distractions such as color fringing and a lack of color-rendition. In fact - the optical refinements of the ATS-80 HD offer a field of view with intricately-patterned subjects with crisp delineation - a feature that enthusiastic birders will greatly appreciate.